Alarians Stay is a modern and comfortable property with bright rooms, in Sector 41, near Shakti Peeth Mandir in Gurgaon. It is close to Citizen Park, Leisure Valley Park, and Kingdom of Dreams. The property boasts of a spacious lobby with plush seating. There is a kitchen onsite too. The rooms are spacious, have colourful feature walls and come with balconies. Large glass windows bring in ample sunlight. 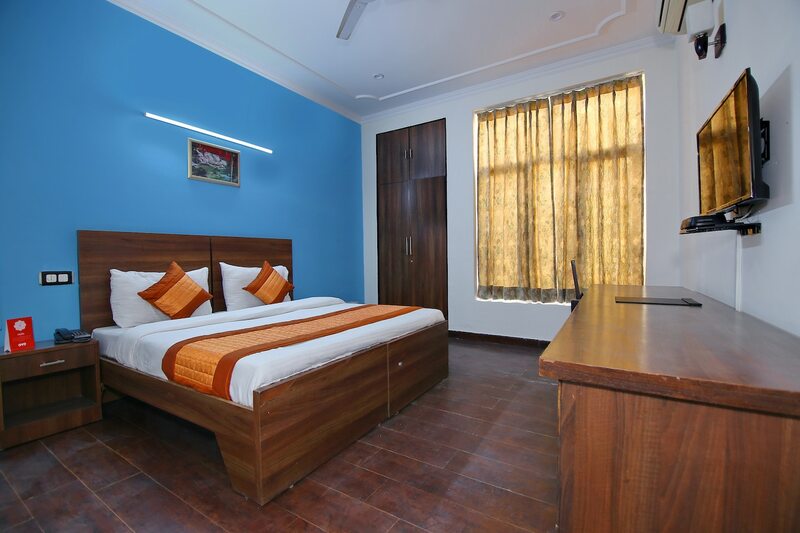 Each room is equipped with TV, AC, and the property also provides free internet, power backup, CCTV security, card payment and laundry services. My Box Meal, Casa Curry, Mini'Z Kitchen, Bueno and Fresh N Dine are some nearby eateries.